A little while ago Games vs Play reviewed Starship Deadfall, the debut gamebook by author Dean Moodie. Set within the twisting corridors of the titular spacecraft and featuring multiple missions and character classes, Starship Deadfall is a must-read for gamebook fans and a bright star in the gamebook renaissance. 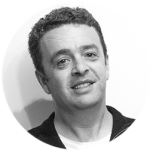 Recently we caught up Dean to find out more about his inspiration behind the book and his plans for more gamebooks in the future. 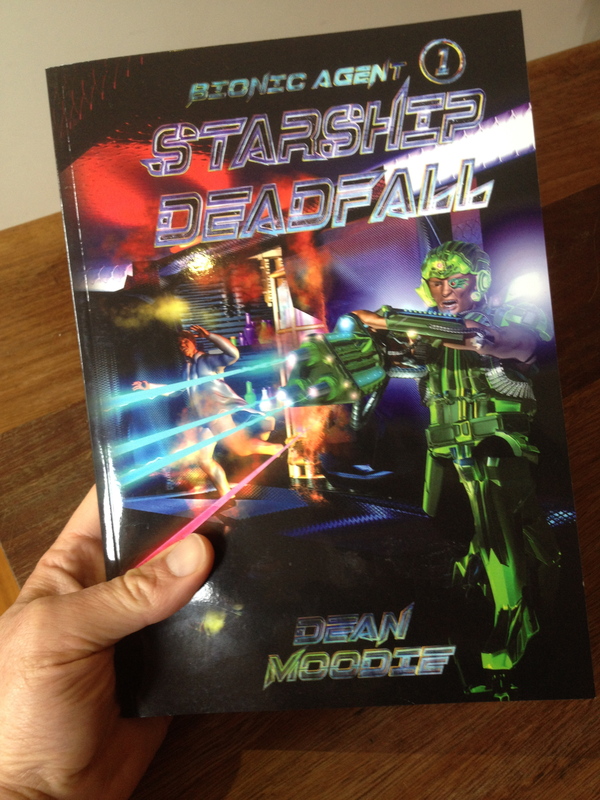 Games vs Play: Congratulations Dean on Starship Deadfall, the first volume in your upcoming Bionic Agent series. It’s great to see new gamebooks being written, especially when they’re as awesome as this one! We thoroughly enjoyed Starship Deadfall here at Games vs Play. Can you tell us a bit about the book? Dean Moodie: Sure. It is a sci-fi adventure gamebook in which the reader plays as an agent of one of several rivalling factions or groups. 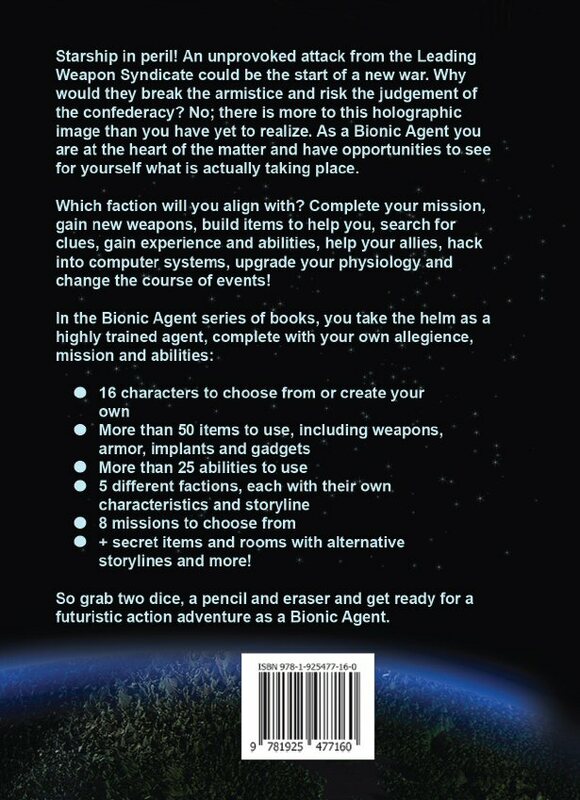 These factions have different characteristics and by aligning with one of them you will have missions to complete which will alter the course of events, shaping the story across the planned series of Bionic Agent books. The character you choose you continue throughout the series, gaining new weapons, abilities, bionic parts and picking up clues along the way. GvP: Starship Deadfall features multiple characters and adventures, which gives it huge replayability value. It also has 1300 numbered sections, making it truly epic in scope. How did you go about planning and putting together all the different storylines? Dean: It was a mammoth task with many pages of notes keeping track of the 1300 references. The original book was 2000 references, though I was told to cut it back. A lot of lateral thinking and attention to detail is required and breaking the project into sections also helps. GvP: So what was your inspiration to write Starship Deadfall? Dean: I’ve wanted to write gamebooks since I was young, but I wanted it to be epic and what I would want to read if I were reading it for story, playability and adventure. I love the sci-fi genre as well so it was a recipe to get writing. GvP: What are some of your favourite gamebooks? Dean: The Fighting Fantasy series of gamebooks are my favourite and I still have many of them. In particular I liked the Sorcery! series which took the reader on a long journey through multiple books. There are heaps of Fighting Fantasy books I enjoyed, so it’s difficult to single them out, but a few that spring to mind are Vault of the Vampire, Deathtrap Dungeon and City of Thieves … and plenty more. What are some of your favourite gamebooks, by the way? GvP: Sooo … my favourite gamebooks are … also too many to choose from! But like you I’d say Fighting Fantasy is overall one of my favourite series and remains the benchmark for “British-style” gamebooks with more developed game mechanics. My faves from Fighting Fantasy would probably be House of Hell, Rebel Planet and Magehunter. But I also like a lot of gamebooks in the “American-style” i.e. gamebooks without any random mechanics like Choose Your Own Adventures. Some of the standouts for me among these are Hyperspace (CYOA #21), Light on Quests Mountain (Endless Quest #12) and Sword of the Samurai (Time Machine #3). Aside from other gamebooks, what were your other influences in writing Starship Deadfall? Dean: Many sci-fi and action films growing up along with various video games. I also simply wanted to write a gamebook of epic proportions with huge replay ability. GvP: What do you think is different or unique about the gamebook format? Dean: I would say the gamebook format allows the reader to fully immerse themselves into the story. When choices determine what happens next or even life and death, the reader is the main character and there is a sense of exploration, participation and suspense as to what may unfold. GvP: With the new Scholastic editions of Fighting Fantasy just released, some people are saying that we’re at the start of a gamebook renaissance. What would you like to see happen in a gamebook renaissance? Dean: I’d like to see more gamebooks of wider variety and with unusual or unique features. 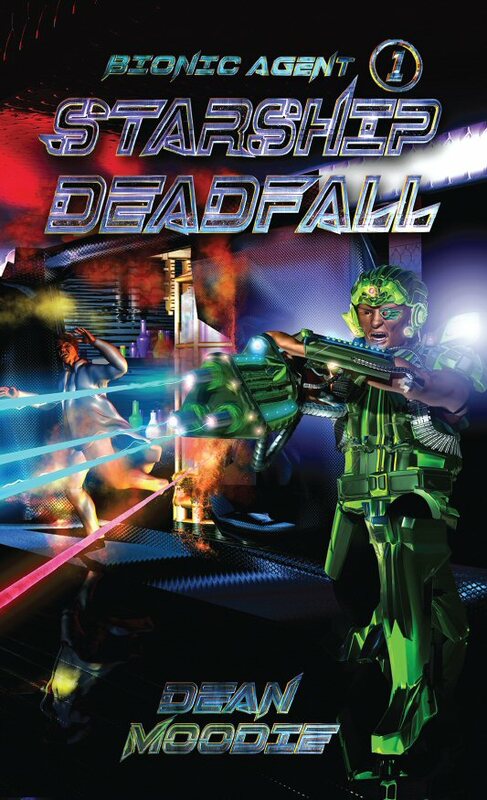 GvP: And finally, Starship Deadfall is book 1 in the Bionic Agent series. What have you got planned for the rest of the series? Dean: I have ideas sketched out for future books in the series at this point, expanding the story which is only getting started in Starship Deadfall. Completing different missions and making certain choices will change large scale events in the series on top of the main missions and side tasks. 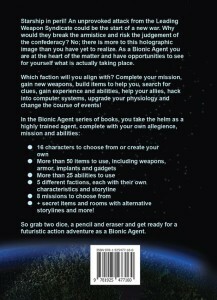 You can buy your own copy of Starship Deadfall from the Bionic Agent website. Games vs Play wishes to thank Dean Moodie for the review copy of the book.